This year, I've broken into guest posting as both a guest poster and as a host of guest posts (over at my Poetic Asides blog). So far, I'm pretty pleased with both sides of the guest posting process. As a writer, it gives me access to an engaged audience I may not usually reach. As a blogger, it provides me with fresh and valuable content I don't have to create. Guest blogging is a rare win-win scenario. Offer promotional copy of book (or other giveaways) as part of your guest post. Having a random giveaway for people who comment on a blog post can help spur conversation and interest in your guest post, which is a great way to get the most mileage out of your guest appearance. Cater posts to audience. As the editor of Writer's Market and Poet's Market , I have great range in the topics I can cover. However, if I'm writing a guest post for a fiction blog, I'll write about things of interest to a novelist--not a poet. Put some effort into your guest post. Part of the benefit to guest posting is the opportunity to connect with a new audience. Make sure you bring your A-game, because you need to make a good impression if you want this exposure to actually help grow your audience. Don't stress yourself out, but put a little thought into what you submit. One additional tip: Have fun with it. Passion is what really drives the popularity of blogs. Share your passion and enthusiasm, and readers are sure to be impressed. By the way, I'm serious about accepting guest post pitches for this blog. I figure if my name's not Bob, there's a good chance yours isn't either. And if it is, maybe you can pitch me on a guest post from an actual Bob. Anyway, click here to read the guest post guidelines. Guest posts are a great way to share your voice with a new audience while promoting your blog, book, and/or whatever else you have going on. If you're interested in sharing a little bit of yourself with the My Name Is Not Bob crowd, then read these guidelines to figure out how to get the ball rolling. Include who you are and anything about you that might make you interesting to the readers of My Name Is Not Bob. Top 5 or 10 or 20 list of something related to writing, parenting, self-promotion, etc. Personal experience story that fits with other posts on My Name Is Not Bob. Just remember: Your experience should have some form of takeaway value for readers. Tips or advice on how to accomplish something. But these are just a few ideas. I'm open to creativity. Just shoot me an e-mail with your idea(s). And if you have a blog or website, include that. I'd like this to be a pretty easy and laid back process. So have fun with it and don't be afraid to bounce around some ideas with me. Good luck! Way back in August, I somehow ended up volunteering to be the den leader of Reese's Tiger Cub den. I'll admit that during the first few months I alternated between feeling overwhelmed and half-way competent (though never totally on top of my game). Lately, I've been feeling half-way competent more and more often. Basically, I've come to the realization that Tiger Cub parents are supposed to learn as much as the Tiger Cubs themselves during this first year of scouting. 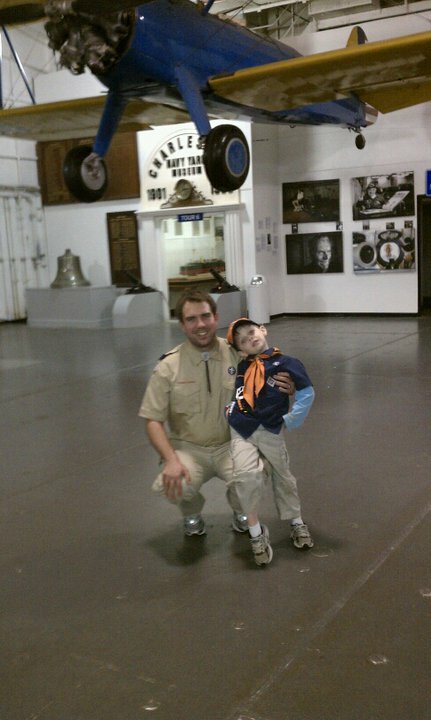 Pack 420 went on our annual "supertrip" this past weekend to Patriots Point, which is located right across the river from Charleston's French Quarter. It was a great opportunity for Reese and I to spend a weekend together with a bunch of other scouts and scout-parents sleeping on the USS Yorktown. On the way down, Reese was excited to be going to South Carolina. Then, he was excited to see and touch some Spanish moss. Then, he was excited to see and touch actual palm trees. And when we got into the marshy areas, he was on a vigilant lookout for alligators. For the most part, he kept this excitement up throughout the whole trip. These ships are not made for 6-foot tall guys who like to walk on the balls of their feet. Even on the Yorktown, I had to constantly remind myself to walk flat-footed, or I would've left the ship with multiple concussions. But even flat-footed, I still had to duck every so often. Then, there's the USS Clamagore, a submarine at Patriots Point, that gave me a nice quad-muscle workout going through it, which Reese wanted to do multiple times. 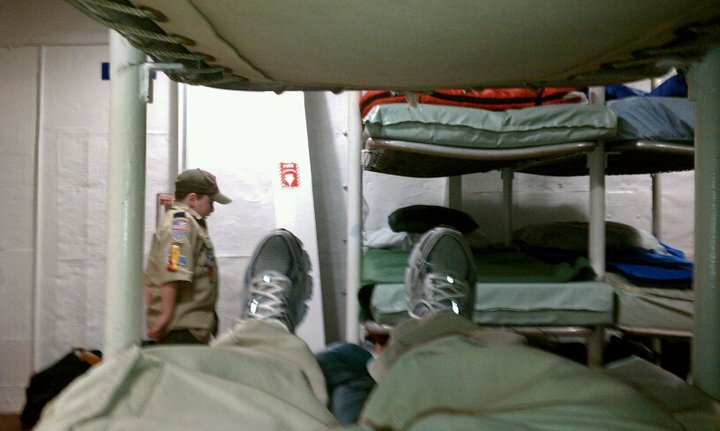 Beyond feeling too tall on the ships, there were also the bunks, which were stacked four beds high and two across (about 3 inches or so separating me from the guy on the other side of me). The bunk on top of mine had about a foot or so between my face and the bottom of the cot. We brought our own sleeping bags and pillows to lay on the beds. And the showers changed temperatures with each flush of the toilet. Our sailors have it rough, especially if they are taller than 6 feet. Imagine two boys keeping themselves up by giggling and grabbing at each other. Then, multiply that by another 30 or 40 pairs of boys. Then, imagine the first father who can ignore the giggling enough to get to sleep, and imagine this father has a distinctive snore. And if you can, imagine that this makes the boys all laugh each and every time the father snores. And, well...let's just say I was glad to get back home to Tammy on Sunday. The trip really was excellent. There's nothing that makes a parent feel better than to watch one of his kids grow, and I witnessed Reese making new friends, braving new challenges, and even volunteering to leading a group of 200+ people in the pledge of allegiance. Together, we walked up and down more than 100 flights of stairs (not an exaggeration), saw several cool exhibits, learned new things about our history and marine biology, and even watched Tora! Tora! Tora! on the big screen. In fact, Reese gave the ultimate compliment by claiming that he wants to move to South Carolina. Wow! For the time being, we're not moving anywhere (not even South Carolina), but I did line up another tour for all the Tiger Cub dens (there are two others besides my own). We went there last night, and it was a fun experience. I think several of the boys (including Reese) started the tour a little afraid they'd somehow get "locked up" while they were there, but all of them seemed to have a lot of fun. This tour was most significant for me as a den leader, because it completed the Tiger Cub requirements for three of my five scouts. (Two of them still need to make up an earlier requirement they missed.) I couldn't be any happier or feel any more half-way competent. Does this post get your camping juices flowing? Then, check out these cool camping-related products and remember that you don't have to be an expert to have fun, you just have to "Do Your Best." While being an editor pays the bills around here, I always see a writer when I look in the mirror. And just to show you how much I care about my fellow writers, I'm going to make my life as an editor potentially more difficult by sharing my negotiating tips for writers. Different editors surely approach negotiation in their own unique ways, but these are my tips for handling editors like myself. Deliver the goods on your first assignment. Write an amazing article with great sources and examples, and I'm more likely to offer you a better contract the next time around. If I don't, I may be trying to maintain the status quo, but you should try to nudge me again. And I emphasize nudging. Don't be a pest. I'm more willing to negotiate with writers who complete their assignments on time and don't contact me every couple days with a revision of an already turned in piece or who try to re-negotiate the fee on an article after we've already assigned the piece. I like it when writers ask questions and want to make sure they understand an assignment, but I don't like to have to constantly haggle over things after we've come to an agreement. That's a good way to not receive any more assignments in the future. Think of creative ways to negotiate. Offer to write a sidebar for an extra fee--or a series of blog posts. If the editor is unable to offer more money, ask for more complimentary copies. Or some other related comp that the editor may be able to send your way. Editors like to make writers happy (especially if they do a great job), so help them help you get more out of your relationship. By the way, if you haven't checked it out yet, you may be interested in my post on How to Deal With Problem Editors. Also, after my initial post, I found some great tips from the writer's perspective by Carol Tice in her post 10 Negotiation Tips for Writers. Add relevant images. If you've read my blog for any period of time, you've probably noticed that I shy away from using too many images. My reason is that I only like to use them if they're relevant. Images are very powerful on blogs, so please use them--just make sure they're relevant to your blog post. Want to take your blogging to the next level? Check out ProBlogger: Secrets for Blogging Your Way to a Six-Figure Income , by Darren Rowse and Chris Garrett. Put together by one of the bloggers on my best blogs list, this book may or may not help you get to a six-figure income, but it will provide several ideas to try monetizing your own blog. It seems that everyone and their moms has a blog nowadays. (Note: My mother does not have a blog yet, but there's always hope.) This is both a great and horrible thing. It's great, because we've never had it so good when it comes to expressing ourselves. It's horrible, because it's never been easier to feel overwhelmed by the tsunami of people expressing themselves. To try and help writers find great blogs to follow, I've compiled this list of best blogs for writers to follow. I expect this list to be different a year from now than it is today, but I think this is a good starting spot. Let me start by getting my Writer's Digest peeps out of the way. Some of these may appear in other sections of this list with their other blogs. I'm a poet. So let's get poetic next. I love fiction too. That's where I concentrated my creative efforts in college at the University of Cincinnati. Technical and professional writing, copywriting, etc., it all falls under here until I can break out into its own category. Okay, so that'll work for getting started. And like I said, I'm ready to add more if I think they're truly helpful. So, please chime in with your recommendations starting now. Either comment below, send me an e-mail at robertleebrewer@gmail.com, or let me know on Twitter. You may also be interested in what I think was maybe the best book ever created for writers: Writer's Digest University , by the Writer's Digest staff. I don't just say that because I work for the company. The book itself is thick and packed with information, but it also includes a one-year subscription to WritersMarket.com and a DVD with 4 webinars (that usually cost like $50-100 a piece). Talk about getting your money's worth! Yesterday, I lit up Twitter and Facebook with the good news that Tammy and I are expecting a girl. Will came with us to the ultrasound, and he was so well-behaved. 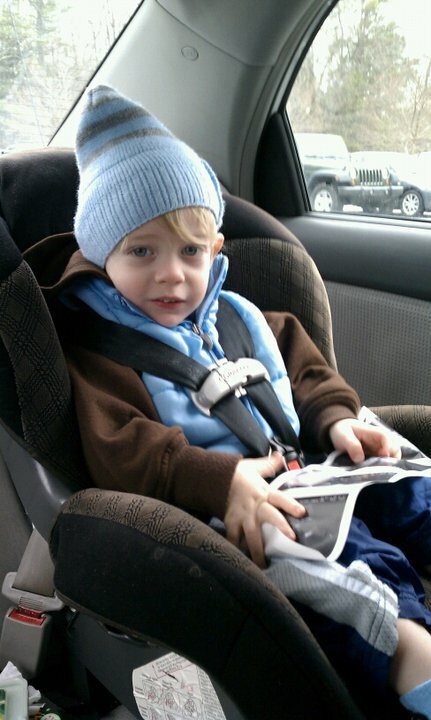 He held onto the ultrasound prints and repeated, "Sister! Sister," as we drove Tammy to her work afterward. Will with sister (ultrasound print). Since both sides of our families are a little girl-deficient, everyone has been super excited to finally be getting a girl. During the ultrasound and check-up, we also saw that our girl-to-be is very active and heard her strong heartbeat. I can't wait to see her in June and then learn over time whether she'll be a girly girl or a tomboy--or some kind of mix of both. I'm sure I'll have deeper analysis of having a daughter later on, but right now, I'm just happy that she's doing well. Tomorrow morning, Tammy and I should learn if we're going to have a boy or a girl during Tammy's scheduled ultrasound. I'll, of course, update everyone tomorrow at some point. For now, I want to share a few links that've been circulating online that are related to me. Miriam Sagan conducted a short three-question interview with me on her Miriam's Well blog. She asks me questions like: "Is there anything you dislike about being a poet?" Click here to see how I answer that question as well as two others. Amanda Hoving recently had me on her Amanda's Wrinkled Pages as a guest blogger. I wrote a post on writing and love titled "Share Your Writing and Who Knows What Will Happen," in which I describe the event that got me hooked on poetry and how poetry got me hooked on my wife, Tammy. Click here to read the guest post. Amanda Oaks published my poem "I think the world is a pin cushion" back in October, 2009, on her Kind Over Matter blog (with a really cool image included), but earlier today, she shared the link again on Facebook, which inspired this post. So even though the poem has been on that blog for more than a year now, I feel like I should go ahead and link to it one more time. I'm working on a guest post that deals with social media for Erin Reel's blog, The Lit Coach's Guide to the Writer's Life. I believe that post will run on or around February 14, which is Valentine's Day! What better day to learn a little more about getting social, right? Click here to check out Erin's blog. iTunes gift card . That way your sweetie can download a lot of Marvin Gaye and Barry White for, umm, you know, listening to. Vase . For those flowers you're going to get that that special someone. Kindle . If your sweetheart loves reading, then this is a no-brainer. Love Actually . Instead of going out to a movie, stay in and cook a romantic dinner for two. This movie works almost as well as the Marvin Gaye and Barry White for, umm, well, listening to. 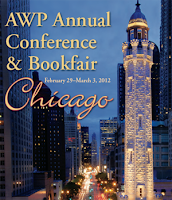 Another year, another AWP Annual Conference that I don't attend (but wish I had). As usual, several great writers I know will be both attending and presenting. As usual, I'm invited to several events that I won't be able to attend. As usual, I'm already looking forward to next year! Yes, like Charlie Brown thinking he'll eventually kick that football, I convince myself every year that next year I'm going to attend the AWP Annual Conference. 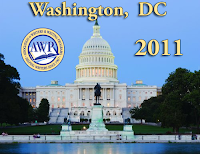 So where is the 2012 AWP Annual Conference? For me, it's actually in a great location for possibly attending: Chicago! I have family in both Ohio and Indiana, so it's an easy drive--barring any catastrophic winter storms. Not that it snows in the north in February. I've been to Chicago a few times previously, and I think it's a fun city. It's a little like Manhattan, but also a little like Southwest Ohio, which feels a little like home to me. What does AWP mean anyway? 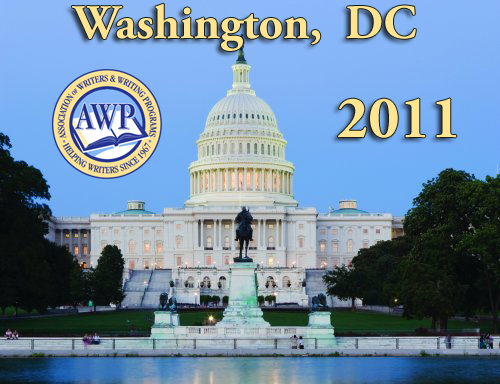 AWP is short for The Association of Writers & Writing Programs. A lot of non-academic writers look down on the organization as academic, but I just see another great opportunity to hang with a bunch of like-minded writers from a variety of backgrounds. Besides, there's nothing wrong with wanting to further your knowledge of writing if you want to be a writer. So when is the 2012 AWP Annual Conference? It starts on February 29 (which I think is a fun day to start an annual conference) and runs until March 3. Are you going to go this time? It's funny that I'm asking myself this question as if someone else is asking me this question, right? Okay, maybe it's a little confusing and/or disturbing, but I'll pretend that someone named Bob is asking the questions, and that I, a person who is not named Bob, am answering these very Bob-ish questions. Well, Bob, I'm definitely going to give it my best shot, which is something I know you've heard before. But this time I have a signed document, and I just know I have to go with a signed document. Maybe it's appropriate that I'm not going to AWP once again when the conference starts on Groundhog Day . By the way, I watched that movie with Tammy and the boys tonight. And as usual, it rocked. If you haven't seen Groundhog Day , you should check it out. I'm a big Bill Murray fan, and this is one of his best. On our way home from our pack meeting last night, my 7-year-old stepson Reese and I stopped to pick up our mail. As I went through all of it in the car, Reese asked, "Is there anything for me?" There was not. From the back seat, Reese said, "Nobody ever writes me letters." I called back to him, "Well, do you ever write anyone else letters?" "No," he said. "Because nobody writes me any letters." I could see the cyclical logic machine firing up, so I said, "Let me tell you about the most important rule of living there is. If you live your life by this rule, you'll be much happier. It's called the golden rule, which is: 'Treat other people as you would like to be treated.' Don't wait for other people to write you letters. Write letters for other people, and they'll return the favor." By the time we left for school this morning, Reese had already finished writing four letters. And knowing Reese, he'll probably compile a list of other people to write today. Instead of focusing on what he doesn't have, Reese now has a plan for making himself and other people happy. It's easy to forget (or dismiss) this rule as we age. Sometimes the things we want seem so complicated that we think the golden rule is no longer applicable--or that we need more complicated ways of handling our problems. However, I've found again and again throughout my life that simplifying things always makes me happier, and that using the golden rule makes me happier too. Plus, it tends to make others around me feel better. Do you want those around you to be nicer to you? Then be nice to them. Say "please" and "thank you." Throw in a "you rock" from time to time. Don't wait for someone else to make the first move, because that could get both of you locked into a pattern of focusing on how the other person is not being nice or polite. And what do you do if your use of the golden rule doesn't change some people around you? Keep applying the golden rule. After all, the golden rule is not to "treat others as you'd like to be treated--unless they don't treat you the same in return." No, keep practicing the golden rule. Everyone has different levels of defense layers (and yes, some people will just never change), so some people will respond immediately to your good attitude. Others will take time. But it's not just about the people around you. Applying the golden rule makes you feel better. Just look at Reese who went from disappointed to filled with purpose. That's how we can all be. National Geographic . This magazine is always loaded with interesting, well-researched stories. Plus, the images are always great! Writer's Digest . Yes, I'm a senior content editor in the Writer's Digest Writing Community, but beyond that, this magazine is wonderful because of Jessica Strawser's vision and commitment to the title. Believe me, there was a time when I worked here that I never recommended it to others. Runner's World . I'm (sometimes) a runner, and this magazine is always filled with inspiring articles and great advice for form, diet, and gear. Poets & Writers . Yes, another writing magazine. After all, I'm a writer and a poet. Parents . With four boys (and a fifth child on the way), you better believe this is an important magazine in the Brewer household.